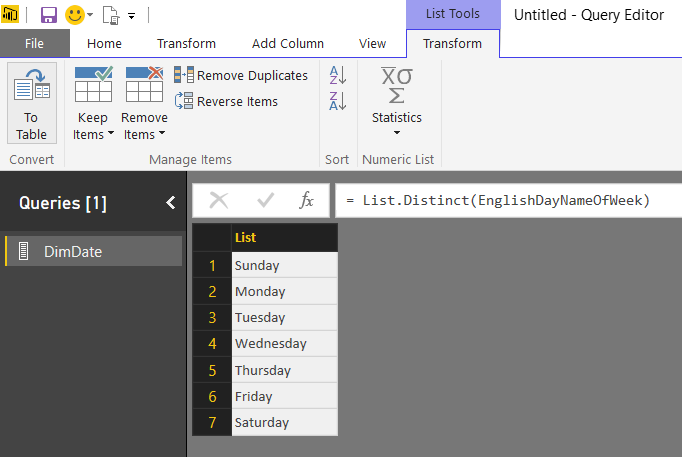 A list is one of the most useful data types in M, the language behind all of Power BI Desktop’s data-loading functionality. A list is nothing more than an ordered list of values of any data type and it’s written in M as a comma-delimited list enclosed in braces. 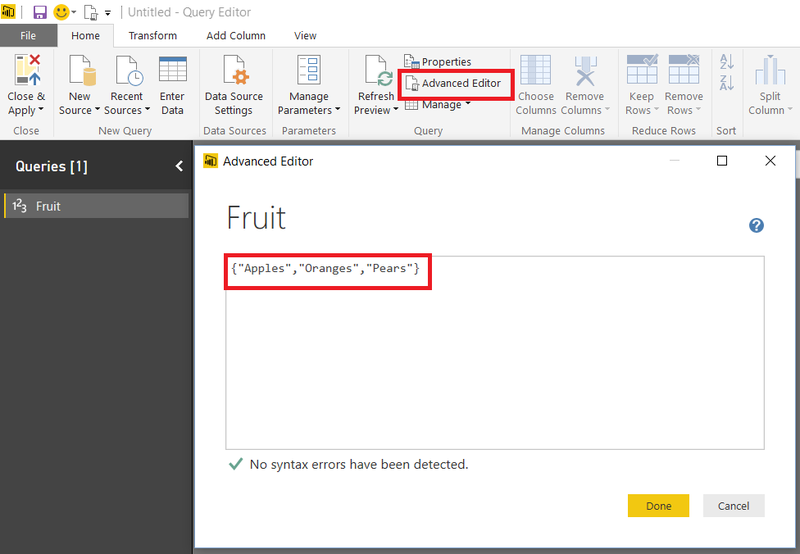 Any query can return a list – most queries you build in the Query Editor window in Power BI Desktop will return tables but a query can in fact return a value of any data type. 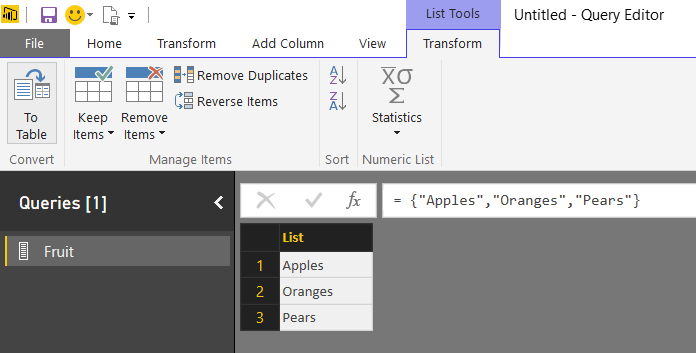 Although this looks table-like, it isn’t a table – don’t get confused between tables and lists! 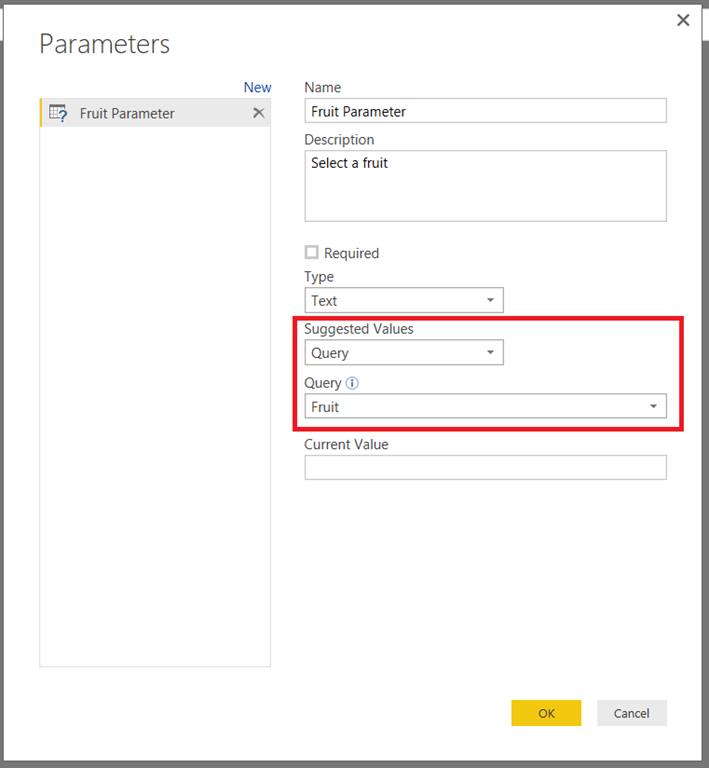 OK, so now you know what a query that returns a list looks like and how to use it in a parameter. The example above isn’t very practical though – how do you get a list of values from a real-world query? It’s actually very easy. 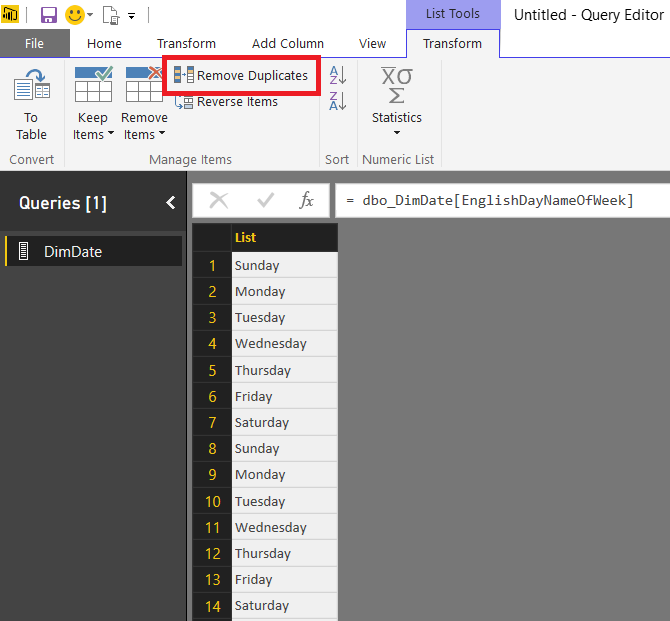 Imagine you have a query returning the contents of the DimDate table from the Adventure Works DW SQL Server sample database and you want to create a parameter that allows your user to select a day of the week. The EnglishDayNameOfWeek column in the DimDate table contains the day names that you need. Drill Down creates a new step in the current query that returns a list of all of the values in the selected table; Add as New Query gives you the same list but as a new query. Now you have a list whose values are derived from an external data source, ready to create a data-driven parameter. One final thing to note: you may be wondering if it’s possible to create cascading parameters (like in Reporting Services) where the selection made in one parameter controls the available values for another parameter. As far as I can see this isn’t supported yet, unfortunately. 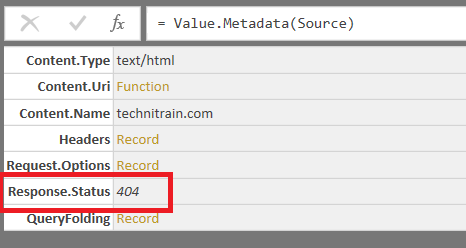 One slightly frustrating feature of Power BI is that some of the cool stuff you can do in M code for loading data, and which works in Power BI Desktop (and in Power Query), causes errors when you try to refresh your dataset after it has been published to PowerBI.com. I recently learned some interesting tricks for working around these problems when you are using Web.Contents() and M custom functions, which I thought deserved a wider audience and which are the subject of this post; thanks are due to Curt Hagenlocher of Microsoft and Idan Cohen for sharing this information. First of all, I recommend you read my previous post on using the RelativePath and Query options with Web.Contents() to get some background, not just on the M functionality I’ll be using but also on the web service I’ll be using in my examples. 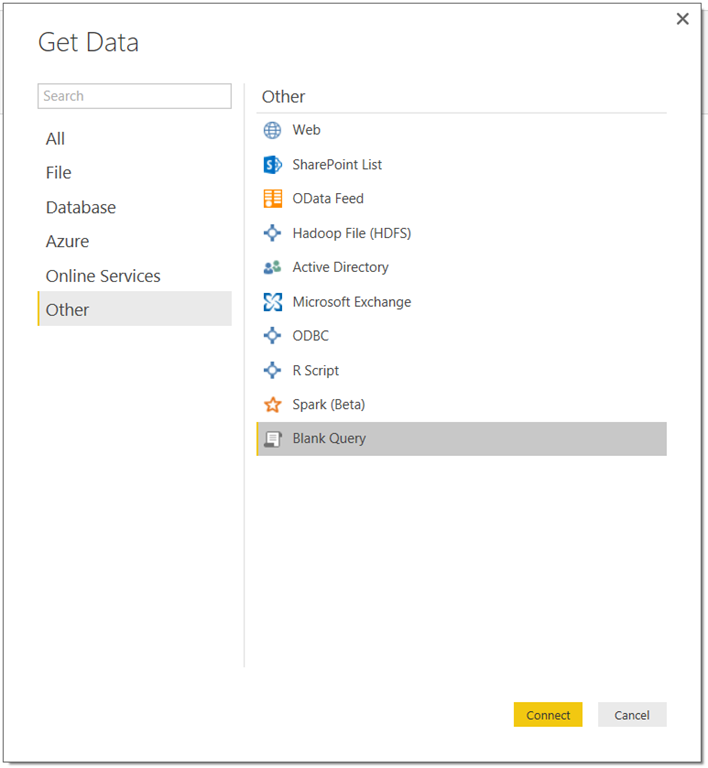 The problem is that when a published dataset is refreshed, Power BI does some static analysis on the code to determine what the data sources for the dataset are and whether the supplied credentials are correct. Unfortunately in some cases, such as when the definition of a data source depends on the parameters from a custom M function, that static analysis fails and therefore the dataset does not refresh. This means you can specify a base url that isn’t really just a base url just so that static analysis succeeds, and then use the Query option to construct the url you really want to use. The Web.Contents() function in M is the key to getting data from web pages and web services, and has a number of useful – but badly documented – options that make it easier to construct urls for your web service calls. However, instead of having one long string for your url (which will probably need to be constructed in a separate step) you can use the RelativePath and Query options with Web.Contents(). They are given in the second parameter of the function and passed through as fields in a record. RelativePath adds some extra text to the base url given in the first parameter for the function, while Query allows you to add query parameters to the url, and is itself a record. Note: at the time of writing there is a bug that causes the value given in RelativePath to be appended twice when the Web.Page() function is also used. Hopefully this will be fixed soon. 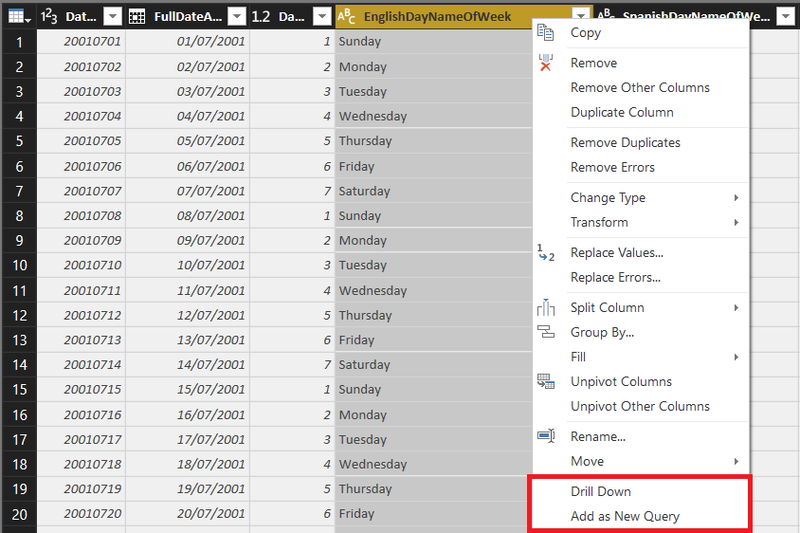 As shown in that post this query connects to the Adventure Works DW database in SQL Server and gets a few columns plus some filtered rows from the DimDate table, and most importantly query folding takes place for all of these transformations. So we can see quite clearly that this step is being folded and that SQL is being generated in the background. It doesn’t seem to be possible to get the SQL query generated here though. One last thing to note: while all of this works for SQL Server, when I tested it on an SSAS data source where query folding is also definitely taking place the metadata told me – incorrectly – that there was no query folding happening (I couldn’t see the MDX query generated using the View Native Query menu option either). Maybe this is all still a work in progress?